Have a great day, Colleen! Gorgeous! LOVING the lace and flowers!!!!!! A vision of loveliness Colleen!! Way to use up the stash!! Feels great to use up stashed items! Your card is beautiful, Colleen! I love those colors! STUNNING!!!! Love the beautiful blue and tan together!! And that lace is just so feminine! Love it! I would never guess those buttons were stickers. Amazing! This is the prettiest card and so feminine. I'm really loving the blue. SO love with this card!!! Love everything abt this...Cool colors, flowers, soft tones!!! Oh, so gorgeous, Colleen. 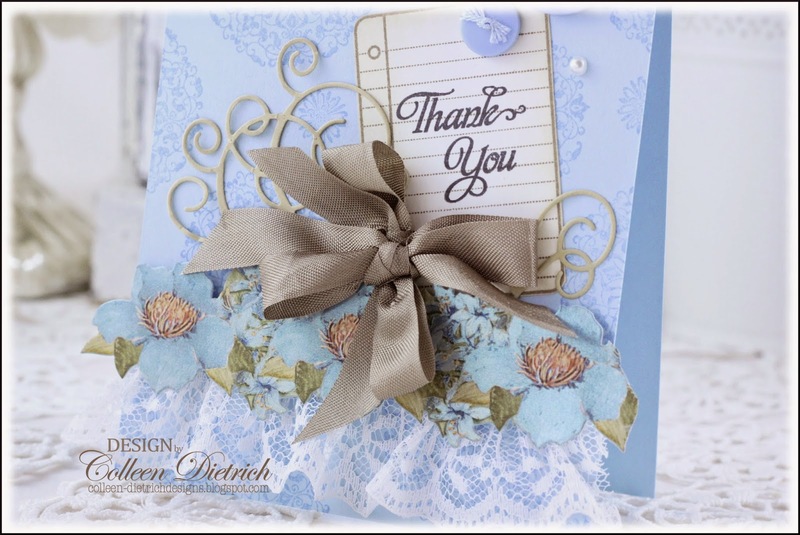 What great colors on your card and I see that beautiful seam binding I love has been used. I see you've made some other beauties while I've been away from my blog, too. Beautiful background and love the focal cluster! This is a stunning card, Colleen!!!! 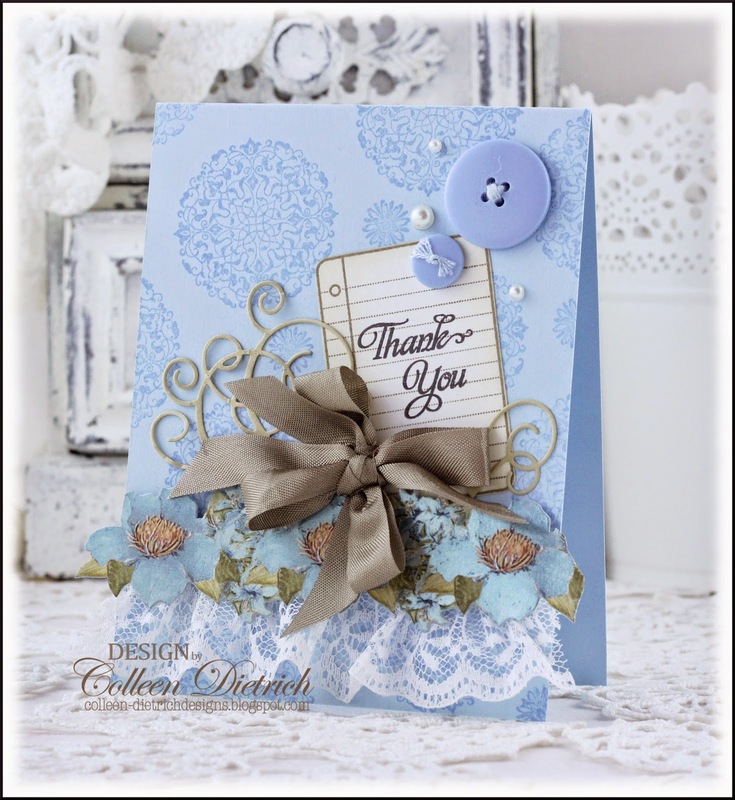 First off I love the blue and the die cut flower border... your bow is fabulous, so are the buttons and the lace! LOVE the Verve Notebook Paper stamp, too!